I don’t pretend to be a sheep hunting guru. I’ve never been in the position to harvest a legal ram. My knowledge is growing, but I find it to be the most difficult goal I’ve set out for myself. What I do know is that there is nothing like it, and I love (and hate) every aspect of it. Each year, as I set out to conquer mountains, the first hour is always the hardest. 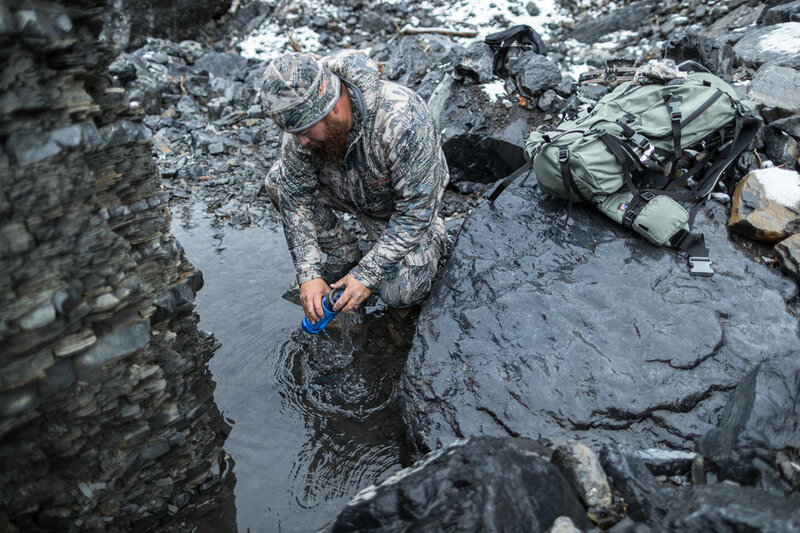 With everything needed to survive and battle the elements packed strategically; my legs ache, my back aches, and my mind struggles to adjust to the task at hand. However, with each step, the possibility of achieving a life-long goal begins to outweigh the struggles. With each summit comes newfound hope that a big, mature ram will be within view. Although I’ve yet to experience that moment, I do not turn a blind eye to all that surrounds me. Sheep hunting has brought me to some of the most beautiful places in the world and, as a photographer, everywhere you look offers some of the most picturesque backdrops you could ever ask for. However, the extra weight of camera gear is awful and sheep hunting already pushes me to my absolute limits. To sum it up as fun would be far from the truth, but returning home with a card full of beautiful images does make it all worthwhile! To my friends who have accomplished the nearly impossible with a bow, I have nothing but respect for you. My good friend, Dan, dedicated 7 years to the goal and finally found his opportunity on the 2nd to last day of the season two years ago. To see what he went through for that one moment is nothing but inspirational. I can only hope that, one day soon, I’ll have my moment where I lock my sights on a big ram and watch as my arrow finds it’s mark. Until then, I’ll keep climbing mountains loving and hating everything only a sheep hunter can understand. 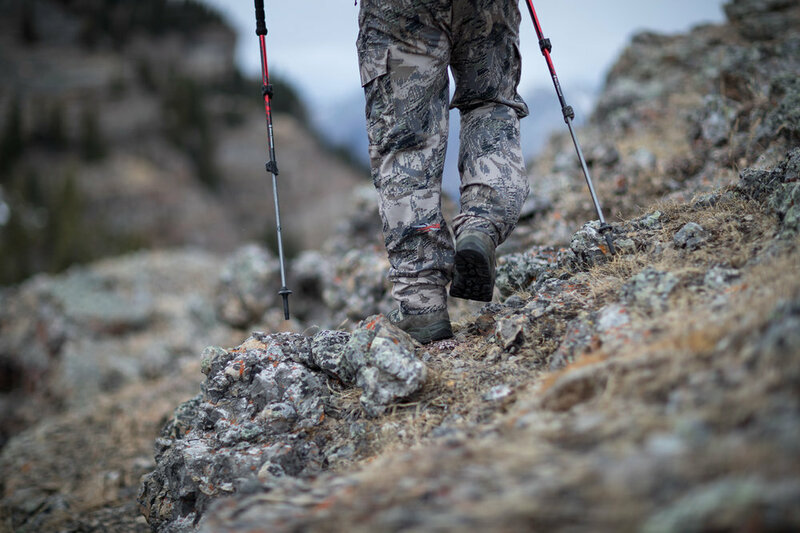 Shop the OPTIFADE Gila hunting boot. NAOTO AOKI is a photographer with a focus on hunting and fly fishing. He prides himself on high quality and creative photos. 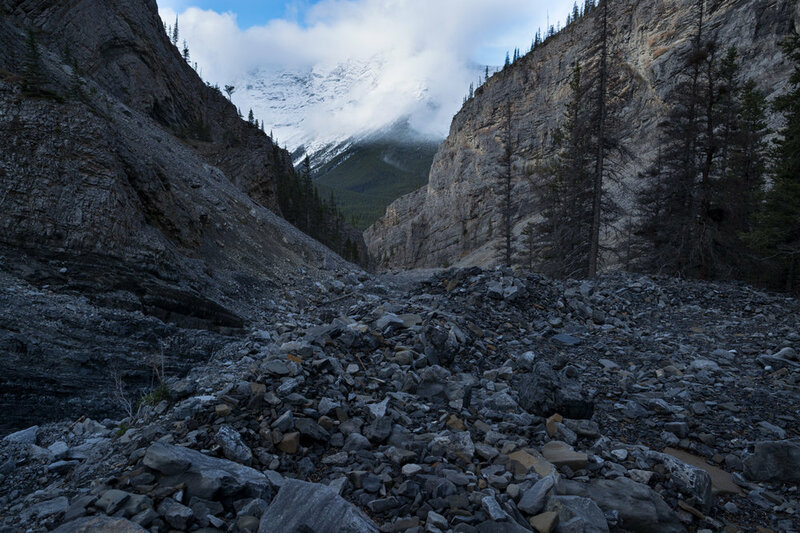 With Alberta as his backyard, producing beautiful images comes naturally.